There are many drivers with no technical knowledge of their car, wondering if everything’s in order with their vehicle and spending liberally to make sure their car is healthy. Drivers can put their mind at ease as there’s now an app for checking your car’s health, as well as for making a right decision on whether or not to purchase a used car and prevent costly repairs. The Engine Tester makes monitoring the health of your car’s engine as easy as ever! This truly unique app provides enhanced information concerning the health of a vehicle at the single tap of a button and helps avoid costly repairs. This comprehensive vehicle support system makes it possible to keep your car running in tiptop condition all the time, via the robust troubleshooting capabilities, testing features and vital functions for drivers and car buyers it features. By just holding their phone up to their car’s exhaust to record a 10-second sound clip, the app will analyzes the sound, pinpointing possible problems within the car’s mechanical systems and will display either a positive or a negative result. 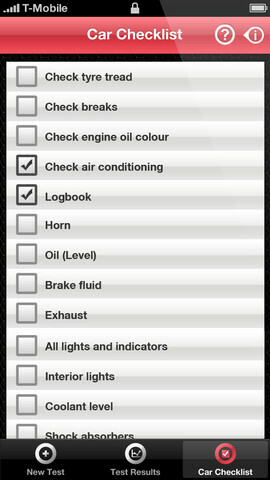 • Positive Results – mean that the app has not found any issues detectable from the engine noise. • Negative Results – The app has detected an issue with the sound reading. Keeping your car running it tiptop condition is made possible with this comprehensive vehicle support system that fits right in your pocket. The good news is that The Engine Tester is currently available for 0.99c for a limited time only, due to the Launch Promotion. Do not miss the chance to get this powerful utility in your pocket, go and grab The Engine Tester from Apple App Store now!